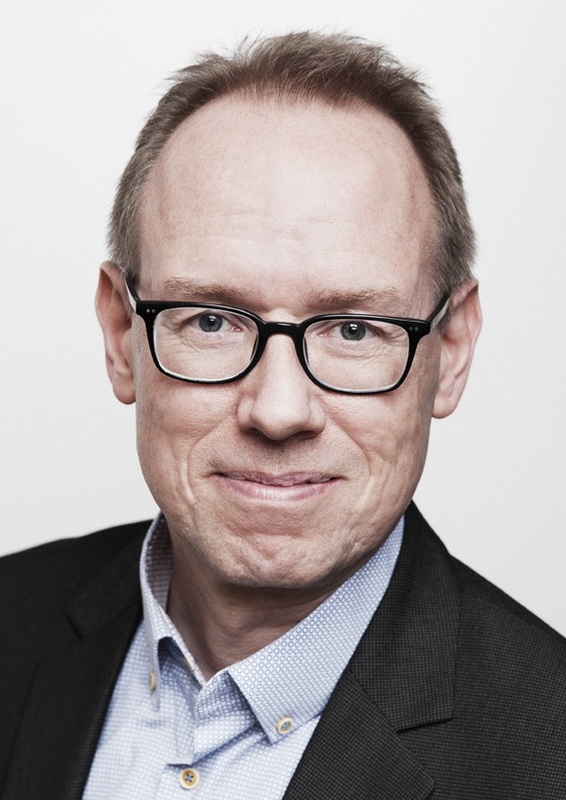 Dr. Jørgen Brandt is Professor and Head of Section of “Atmospheric Modelling”, at Department of Environmental Science, Aarhus University. He has a MSc in geophysics and meteorology and a PhD in atmospheric physics/atmospheric modelling from the Niels Bohr Institute, University of Copenhagen. Main research interests: Atmospheric short- and long-range chemistry-transport modelling, integrated high-resolution forecasting of weather and air pollution from local to global scale, and development of integrated model systems, where the full coupling of emissions and atmospheric models with effect models and economic valuation provide the sound scientific basis for decision support and information of the public. Basic scientific disciplines: Atmospheric physics, meteorology, chemistry, mathematics, advanced numerical methods, statistics, validation and visualization techniques for use in meteorological and air pollution models at all scales. Major model developments: The DREAM model, used for studying the transport and dispersion from nuclear accidental releases and the THOR Integrated Air Pollution Forecast and Scenario Management System, which includes a series of models capable of weather and air pollution forecasting, management and assessment on European scales, urban background scale and down to urban street scale. He participated in the development of the atmospheric chemistry-transport model, DEHM, for modelling transport, chemical transformations, deposition and fluxes of many chemical compounds (including photochemistry, particles, pollen, POPs, heavy metals and CO2) and used to study climate change and air pollution interactions and the UBM model, which is a high-resolution urban background model covering Denmark. He has been a main driver for developing the integrated model system EVA (Economic Valuation of Air pollution), capable of valuating the external costs of impacts on human health from emission sources. Present research areas: External costs of air pollution related to impacts on human health and the environment, climate change and air pollution interactions, atmospheric sensibility to future emission scenarios, modelling particles from global to local scale and mass closure, operational weather, air pollution and pollen forecasting at all scales, data assimilation of satellite and surface data, modelling of natural emissions, high-resolution modelling, integrated monitoring. His overall research goal is to build an operational and integrated decision support system for assessment of present impacts and future scenarios, including all harmful chemical species in all media, emission and traffic scenarios, climate change, socio-economics, and impacts on human health as well as the natural environment and climate system. This is goal is pursued via the integrated THOR system. Publications: He has written 75 journal papers with peer review and 7 more close to be submitted. H-index=22, 1250 citations per 1/12-2013 in Web of Science. 6 contributions to text books, 103 papers in international conference proceedings, 114 scientific/advisory reportss and 21 popular articles. He has been first author or co-author on more than 400 presentations at national and international conferences - many of them invited. Research programmes: He has been project leader, principle investigator, or contributed to more than 20 national research programs, and more than 25 international research programs, including 15 EU research programs. Press contact: He has been interviewed to the press more than 150 times (TV, radio, newspapers, including many front page stories, and prime time TV news stories). Issues are (amongst others): Air pollution forecasting and management, health impacts from air pollution and the famous ash cloud from Iceland. Teaching: He has been supervisor for 9 BSc, 4 MSc and 6 PhD students and co-supervisor for 5 PhD students and 4 MSc students. He is presently supervisor for 1 PhD study. He has been external teacher at University of Copenhagen in Geophysical Fluid Dynamics, at the Technical University of Denmark in air pollution modelling and visualisation techniques and at Aarhus University in integrated model systems and health-related external costs from air pollution. Editorial: He is editor at the journal of “Atmospheric Chemistry and Physics (ACP)”. He is member of the editorial board of journal of “Atmospheric and Climate Sciences (ACS)”, of “The Scientific World Journal (Meteorology)” of the journal “Current Advances in Environmental Science (CAES)”, and Member of the Advisory Board of the scientific journal “Meteorology, Hydrology and Water Management (MHWM)”. Additionally, he has edited two books and six special issues in different international journals. Miscellaneous: He has been a convener of the European Geophysical Society Assembly's since 1998 of the session “Air Pollution Modelling”. He is appointed by the Danish EPA as the national focal point and expert of Task Force on Hemispheric Transport of Air Pollution under UNECE-LRTAP. He is a member of the Air Quality Modelling Evaluation International Initiative (AQMEII) steering committee. He is a member of the GLObal and Regional Atmospheric Modelling (GLOREAM) scientific committee. He was a member of the ACCENT T&TP (Transport and Transformation of Pollutants) steering committee. Awards: In 2000, he was awarded the “Highly Commended Award, 2000”, by the Literati Club Awards for Excellence, UK. In 2003 he was awarded the Gold Prize of the International Green Apple Awards for Environmental Best Practice, 2003, for the air pollution forecast system THOR. Furthermore, in an international evaluation of NERI the evaluation panel stated the following about the THOR system: “NERI is in a unique position in covering all these spatial scales in the same department and in integrating all the scales in an operational system, which is used for 3-day forecasts, scenarios, management and assessment of air quality. The level of integration of air quality models coupling hemispheric, regional, urban background and urban street scales is world class”. He and colleagues was nominated to the Danish Design Award 2012 in the category Service- and experience design for the MapMyClimate homepage. Review assignments – int. journals and research councils: He is regular reviewer for 21 different international journals. He is an assigned reviewer for the Norwegian Research Council. Member of the UK Natural Environment Research Council’s (NERC) roster of scientific referees. Peer reviewer for the Environmental Protection Agency, USA. Reviewer on proposals to the SRON National Institute for Space Research, The Netherlands. Reviewer on proposals to the Swiss National Science Foundation. Reviewer for the Polish-Norwegian Research Fund. Reviewer for the Portuguese Foundation for Science and Technology (FCT), Portugal. Member of the European Science Foundation (ESF) Pool of Referees. Member of EU COST pool of Experts in meteorology, Atmospheric physics and dynamics. Assigned member of the Qatar National Research Fund (QNRF), The National Priorities Research Program (NPRP). Member of the evaluation board of Centre d'Enseignement et de Recherche en Environnement Atmosphérique Joint Laboratory of. Ecole Nationale des Ponts et Chaussées (ENPC/EDF R&D), France. Member of the evaluation panel of EU COST action 728. Nominated to Danish Design Award 2012 in the category Service- and experience design for the MapMyClimate project. Statement from the Jury (In Danish): ”MapMyClimate er et spændende og ambitiøst bud på en måde at skabe opmærksomhed om vores klimaudfordringer, og hvordan vi som enkeltpersoner kan bidrage til reduktion af ressourceforbruget. Med sit sammenhængende og overskuelige design inspirerer sitet til at gå på opdagelse og giver med en lyntest af brugerens ressourceforbrug indgang til nyttige råd og perspektivering”. Er det sundere at løbe i regnvejr?